Play is fundamental to children’s wellbeing. That’s why our new in-store campaign has children’s right to play at its heart. Play is essential for children’s wellbeing. When children can play, they learn new skills, become more social and are better able to cope with stress. Play is so important that the UN Convention on the Rights of the Child recognises it as one of children’s fundamental human rights. Sadly, many children around the world lack safe spaces to play. That’s why our new in-store campaign has children’s right to play and develop at its heart. From 20 November (Children’s Rights Day) through 24 December, the Let’s Play for Change campaign is highlighting the IKEA Foundation’s partnerships that help children around the world play and develop, even in the most difficult circumstances. These programmes are helping hundreds of thousands of children, thanks to the work of six partner organisations in Asia and Africa: UNICEF, Save the Children, Room to Read, Handicap International, Special Olympics and War Child. UNICEF’s early childhood development programme will help children experience the love, protection, proper nutrition and stimulating environment they need in their first years. 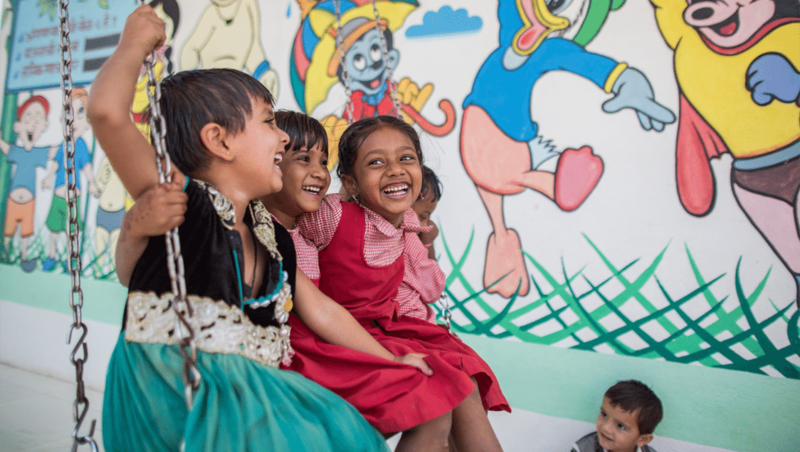 In Bangladesh and Ethiopia, where impoverished families often migrate in search of better opportunities, Save the Children will help prevent unsafe migration by promoting child-protection programmes and use play as a way to learn and heal. Since reading and writing are fundamental life skills, Room to Read will help children in Bangladesh and Indonesia play their way to better literacy. In many communities, children with disabilities are the most vulnerable to being excluded from education. Handicap International will use play-based activities to ensure children in Pakistan, Bangladesh and Thailand can learn and participate. Special Olympics will expand their sports-play programme in Asia to help children with disabilities improve their physical, social, psychological and cognitive development. As more children than ever before are devastated by war, War Child will help Syrian refugee children and local children in Jordan and Lebanon have a safe place where they can play, recover and just be kids again. Also read our Play Insights document.